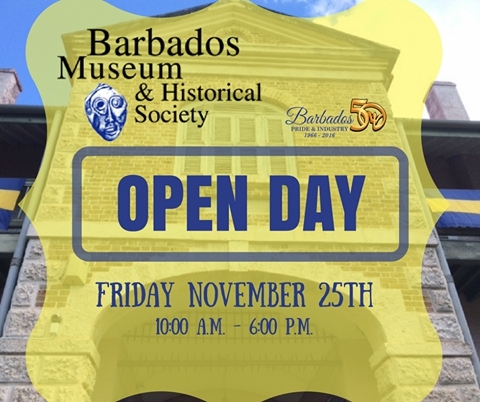 The Barbados Museum and Historical Society is encouraging all Barbadians and visitors to our Open Day and the public launch of the 50th Anniversary of Independence Exhibition on Friday, November 25th 2016. There will be guided tours, music and vendors selling a number of items. Doors open at 10am until 6pm. Don't miss this special day at the Museum! For more information call BMHS at 427-0201.